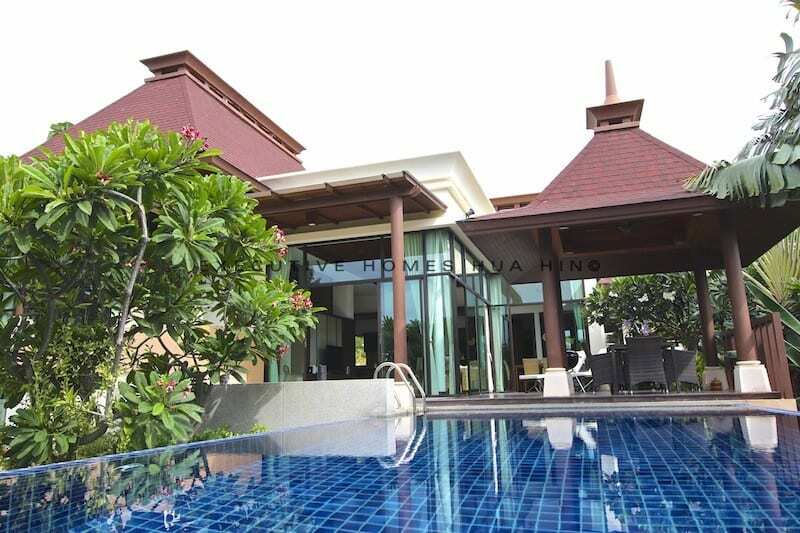 This is a Hua Hin panorama pool villa rental close to Sai Noi beach in Kao Tao. 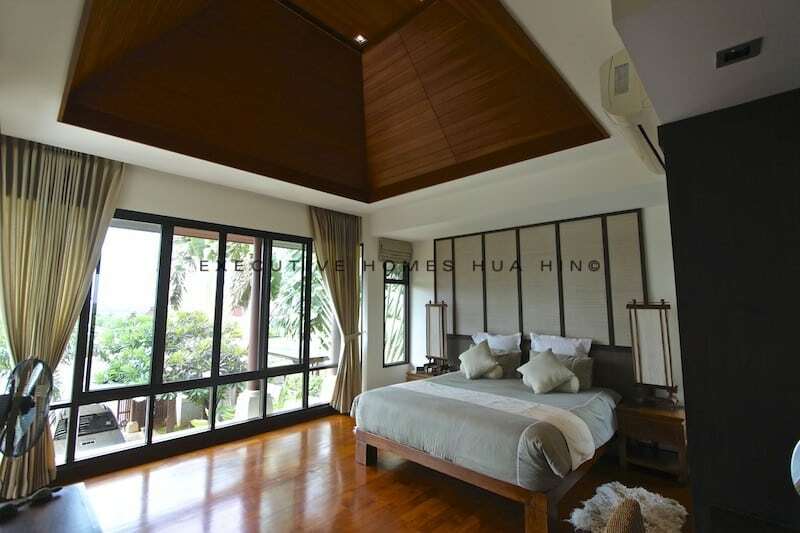 This lovely home is located in a prestigious development in Kao Tao, close to the beach and less than 10 minutes to Hua Hin town center. 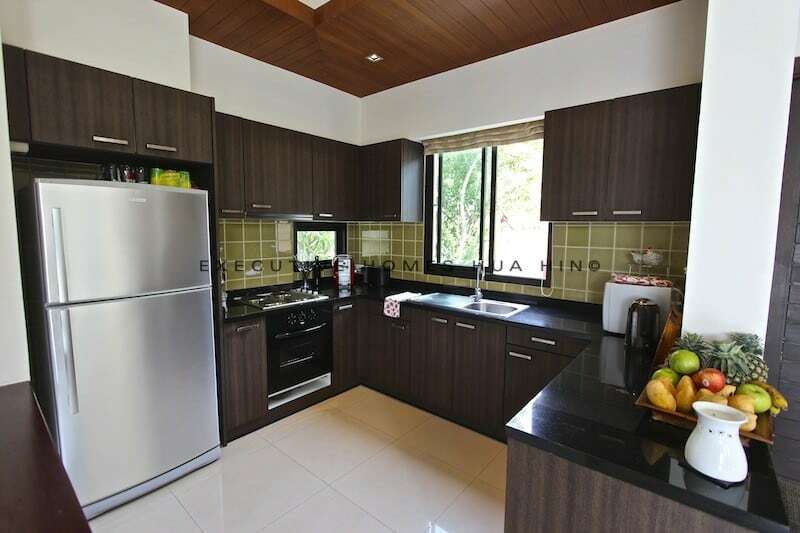 The beautifully furnished pool villa comprises of 3 bedrooms (all on split levels for added privacy) and 3 bathrooms plus a great kitchen fully stocked with modern, high quality appliances. 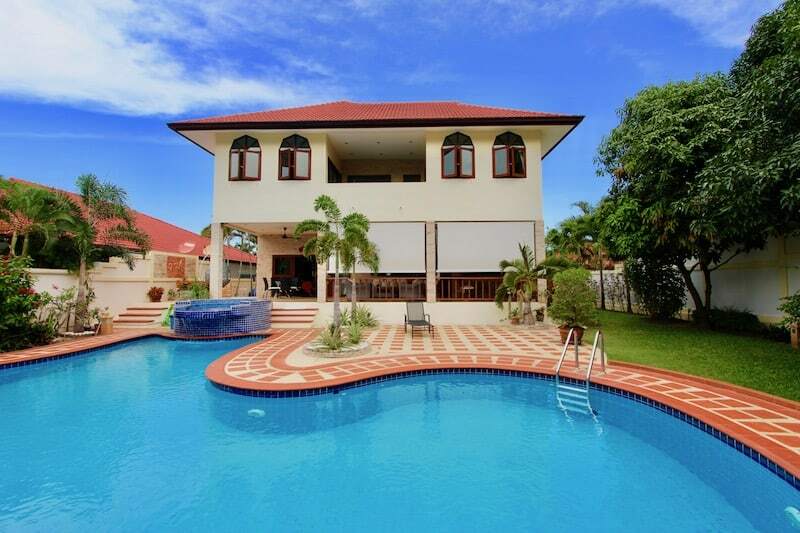 The home offers fantastic outdoor living, with a large swimming pool, a terrace, and a covered sala. 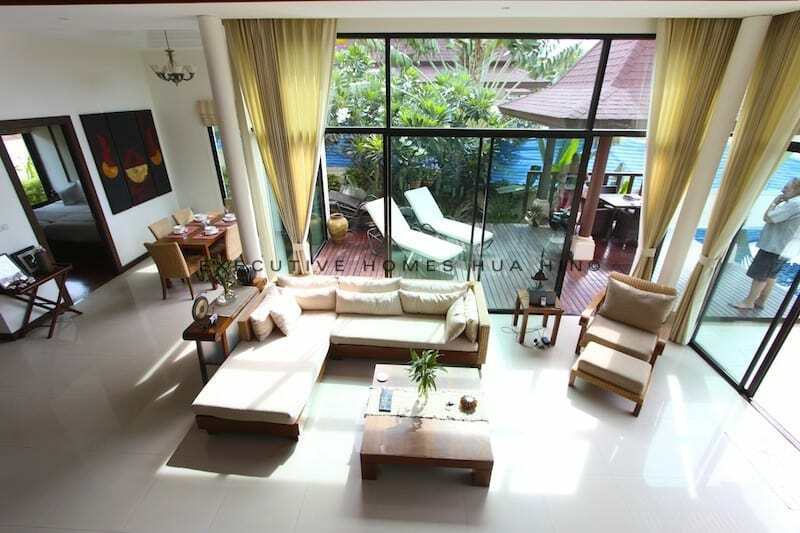 The garden provides a lot of privacy, and the development is very quiet. 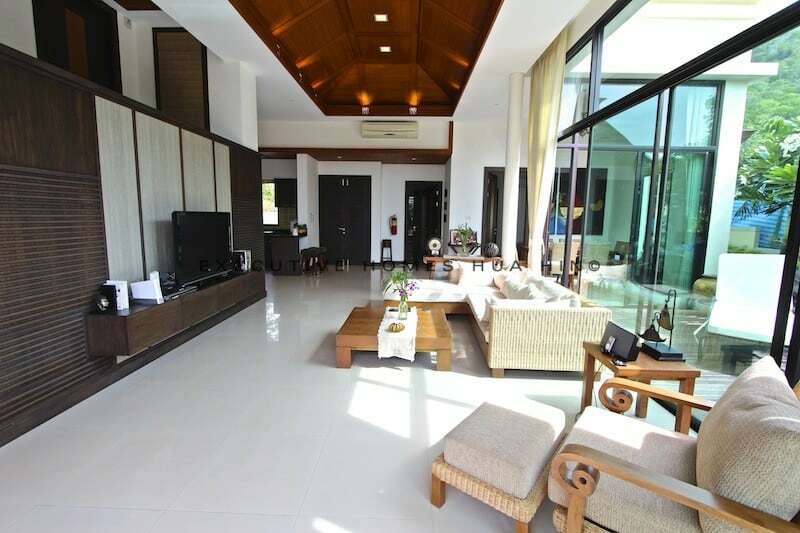 The living room enjoys a wide open space and optimal air flow with very high, coved ceilings finished in wood. 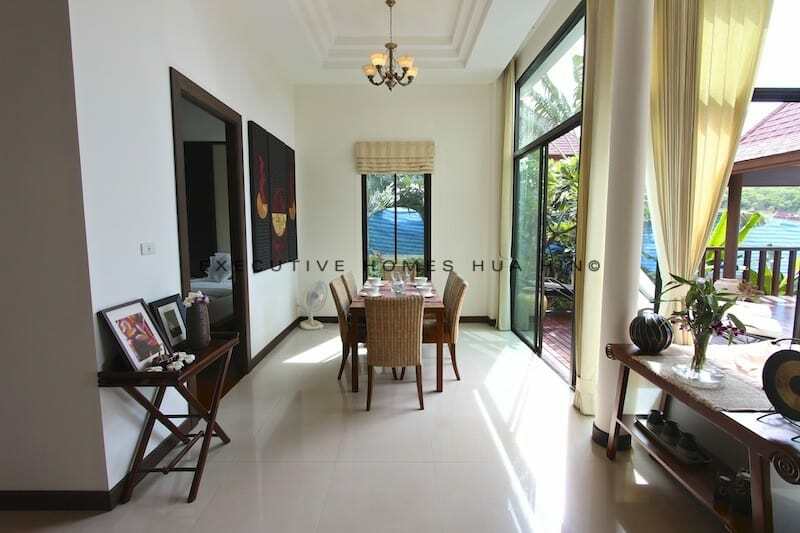 The configuration of the villa is ideal for a large family or a group of friends looking for a shared house with a lot of privacy. 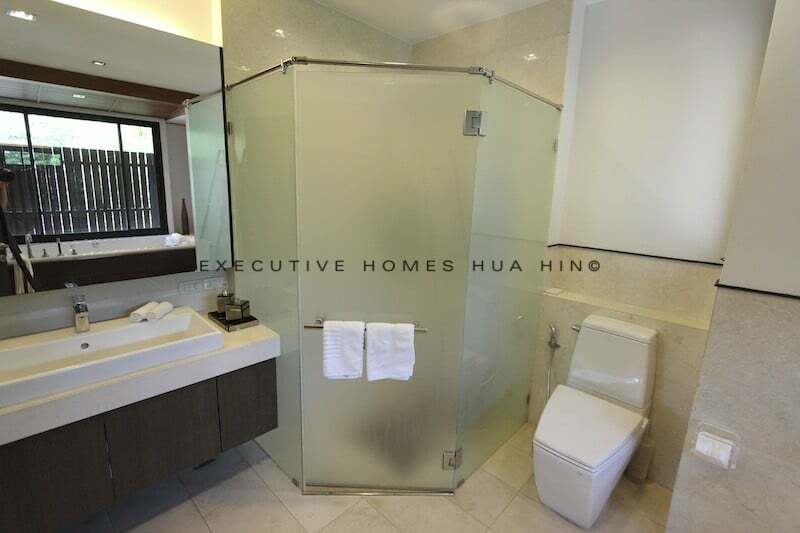 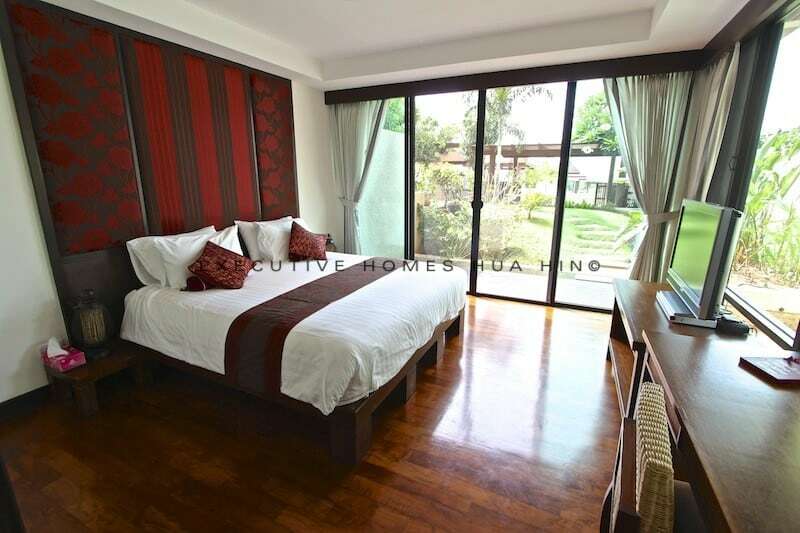 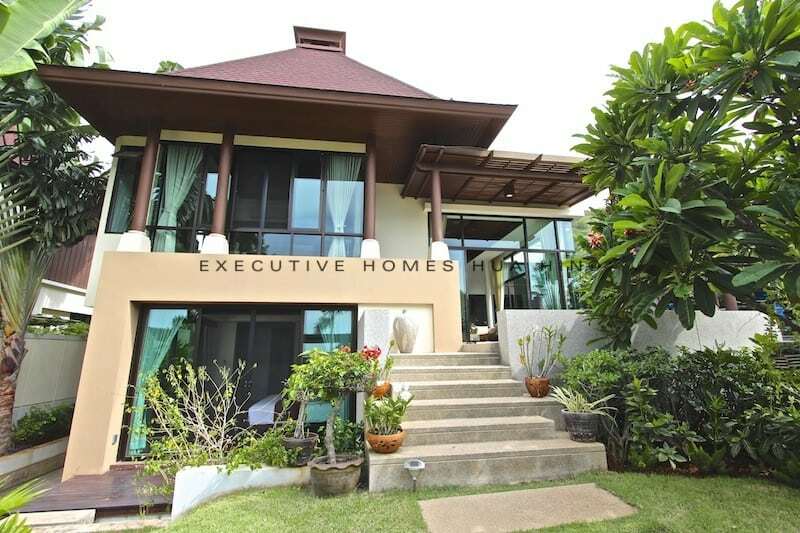 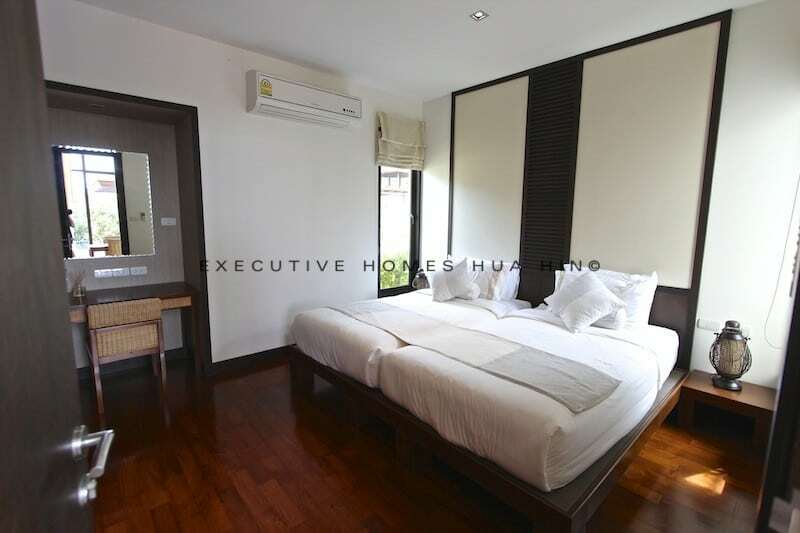 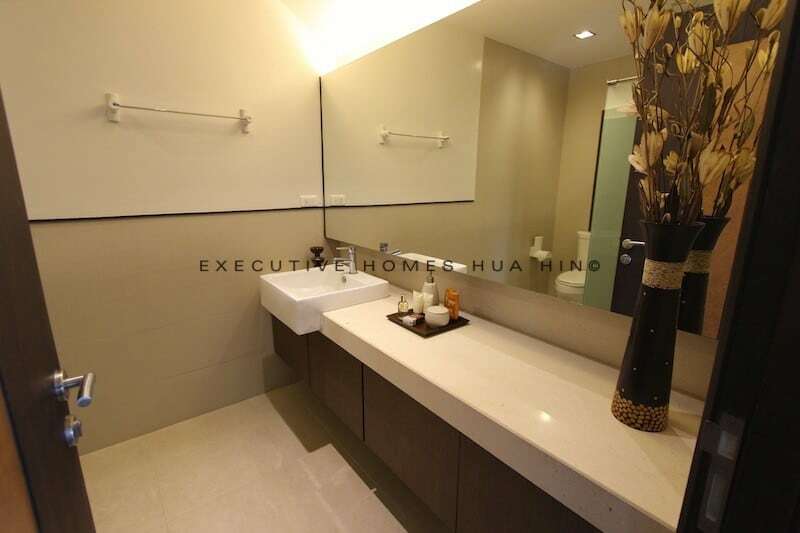 This house can also be rented for 45,000 THB / Week Call Executive Homes Hua Hin at 085.264.2158 for more information.